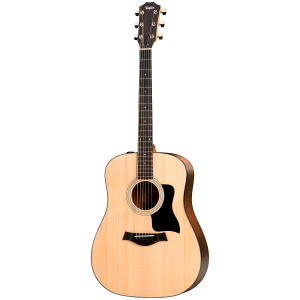 This cutaway edition of the 100 Series Dreadnought gives flatpickers and strummers an open road to explore the upper register, rewarding the excursion with strong, clear treble notes that will make solos shine. 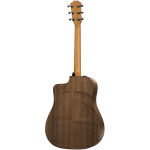 The guitar features Taylor’s signature thin-profile neck and a hand-friendly 1 11/16-inch nut width. The layered walnut construction is both resilient and visually appealing, and together with the solid Sitka spruce top, projects a great sound that will improve with age. 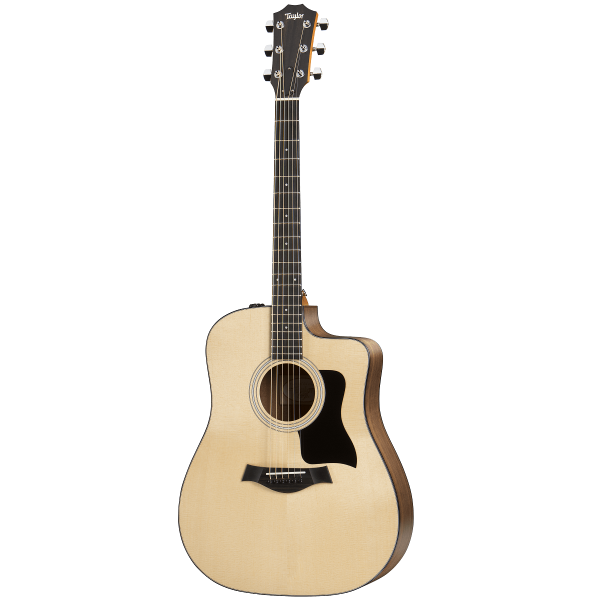 Taylor’s ES2 pickup cleanly translates the guitar’s tonal nuances into a warm amplified acoustic voice that lets your playing come through loud and clear.